Are you all ready for Thanksgiving tomorrow? I can’t wait!! I’m excited to see family and also devour some delicious turkey dinner. I figured I would link up with the What I ate Wednesday group to share my food journal from Monday since I pretty much ate everything in sight that day! Monday morning I woke up starving and the day pretty much continued on that note. My activity has been high lately so I’m guessing that’s part of the reason for extra hunger throughout the day. For breakfast I had scrambled 2 eggs, spinach & potatoes. This meal was filling and so tasty. I headed out the door to go teach Group Power around 710. 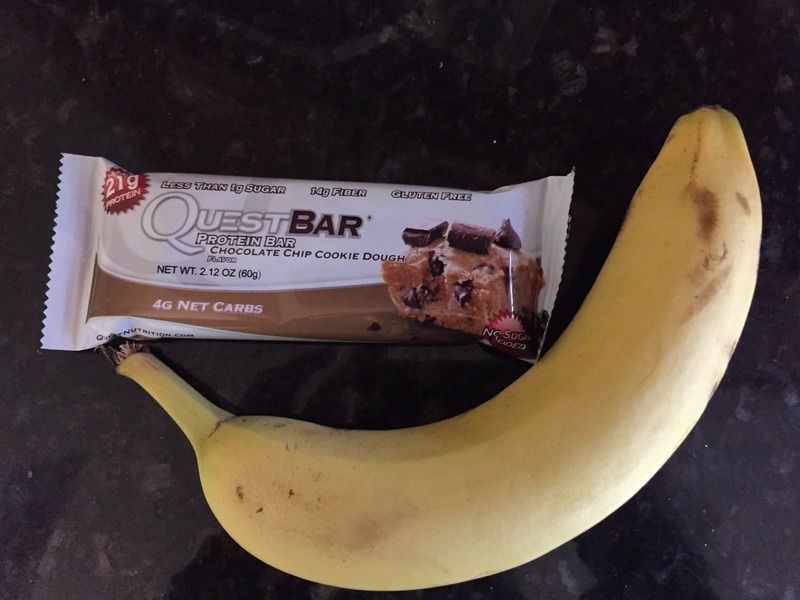 I left class feeling the need to refuel and I opted for a Cookie Dough Quest Bar, a banana, and mixed nuts. This was a well balanced snack and something a little different for me so I liked it! The food was amazing and I left our luncheon wishing we had these pot luck buffets more often! In the afternoon I did my usual computer work for a couple hours until around 230 my stomach was craving something sweet. 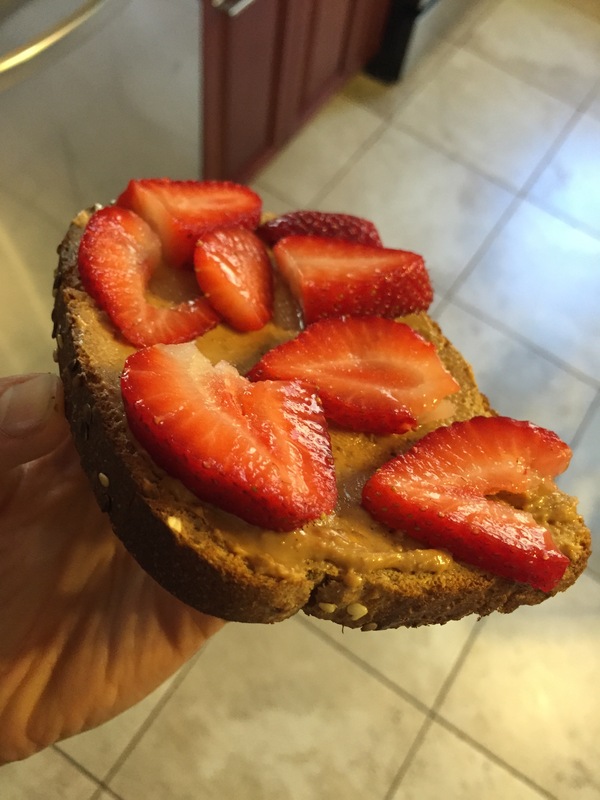 I quickly toasted a piece of bread and topped it with peanut butter and sliced strawberries. If you have never had this before, please try it! Dinner came on the early side and I ate around 5:15. 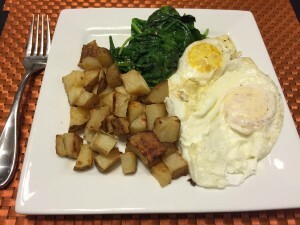 I made a HELLO FRESH meal and I was so happy I did. 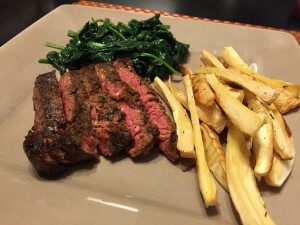 We had Rosemary basted steak with creamed spinach & rosemary roasted parsnip fries. Like I didn’t eat enough food throughout the day, at around 9pm my stomach was asking for more… Marc and I were watching the Patriots game and he decided to make me a game time snack. 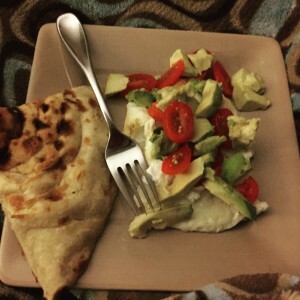 Egg whites scrambled with tomato and avocado and a piece of naan. 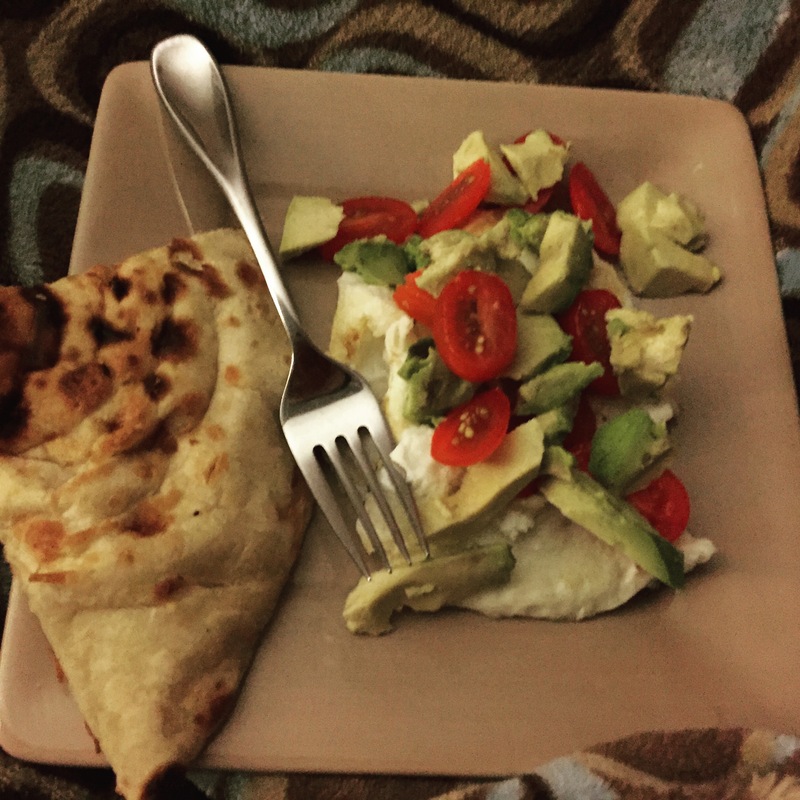 I know the naan bread was random but trust me when I say it completed this mini meal!! Alright, that’s all I got! Your turn…. Hmm… We had a really yummy made from scratch spaghetti sauce. 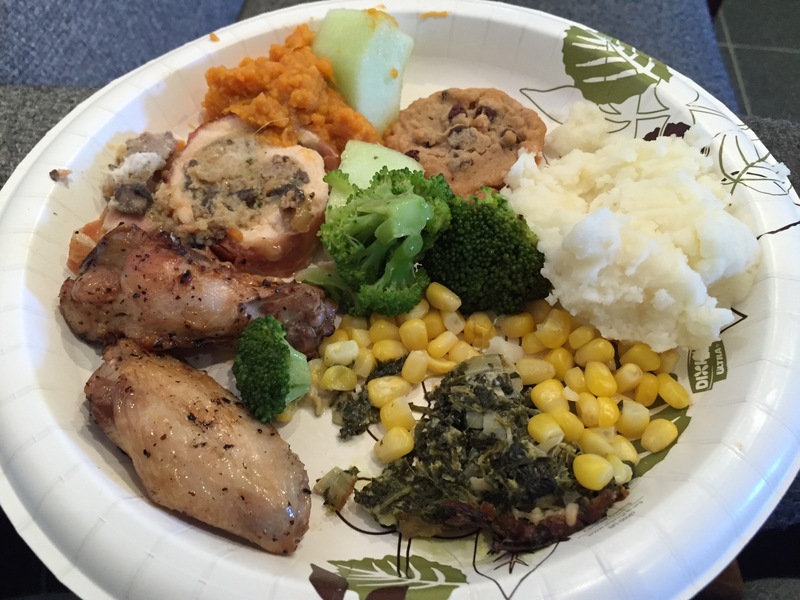 I <3 thanksgiving. It's reminding me that thankfulness to God for all of His awesome gifts is the cure to so many things. Mmmm homemade spaghetti sauce sounds delicious!! !